Miami, full of fun, sun and fabulous Nickelodeon casting calls and auditions. Click on this category to find a comprehensive listing for every one. 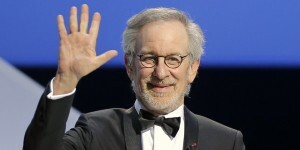 Three time Academy Award winning and perhaps the most well known director of our time, Steven Spielberg is looking to fill the lead role in his upcoming film , “The Kidnapping of Edgardo Mortara. This is a rare opportunity to submit for a lead role in a Hollywood blockbuster movie! We all know Mr. Spielberg’s movies tend to get nominated for the top film awards. This entry was posted in Acting, Children, Movie and tagged Atlanta, Boston, Chicago, Dallas, Denver, Detroit, Houston, Indianapolis, Miami, Nationwide, Orlando, San Francisco, Washington D.C. on June 29, 2016 by jessica. This entry was posted in Commercial, Disney and tagged Atlanta, Boston, Chicago, Dallas, Denver, Detroit, Houston, Indianapolis, Los Angeles, Miami, Nationwide, New York, Orlando, Washington D.C. on June 7, 2016 by jessica. This entry was posted in Game Show, Nickelodeon, TV Show and tagged Atlanta, Boston, Chicago, Dallas, Detroit, Houston, Los Angeles, Miami, Nationwide, New York on May 15, 2016 by jessica. What do you get when you take every kids dream and turn it into a TV show? A hilarious superhero comedy and one of the most popular shows on Nickelodeon today. Henry Danger is battling crime and tickling the funny bones of millions of loyal fans each week and it has quickly established itself as much-watch television for Nick audiences worldwide. This entry was posted in Acting, Comedy, TV Comedy and tagged Boston, Denver, Houston, Los Angeles, Miami on January 27, 2015 by shaun. The most high-kicking, karate-chopping sitcom on TV today is on it’s way back with a ton of brand new episodes. Nickelodeon fan favorite Supah Ninjas is back for an all new season of hilarious adventures. This entry was posted in Acting, TV Comedy, TV Show and tagged Boston, Miami, New York on May 24, 2012 by shaun. Get ready Fred Figglehorn fans! Following the huge success of the first two hilarious Nick Original movies Nickelodeon has ordered a third film in the fabulous Fred series, Fred 3: Camp Fred . This entry was posted in Movie, Movie Extras and tagged Denver, Indianapolis, Miami on March 24, 2012 by shaun.